Review by Neo: There is good news and bad news. The good news is that Shinjuku Incident is by no means a bad movie and the bad news is that, the film fails to continue director Derek Yee’s run of great movies (i.e. Lost in Time, Protege, 2 Young, One Nite in Mongkok). 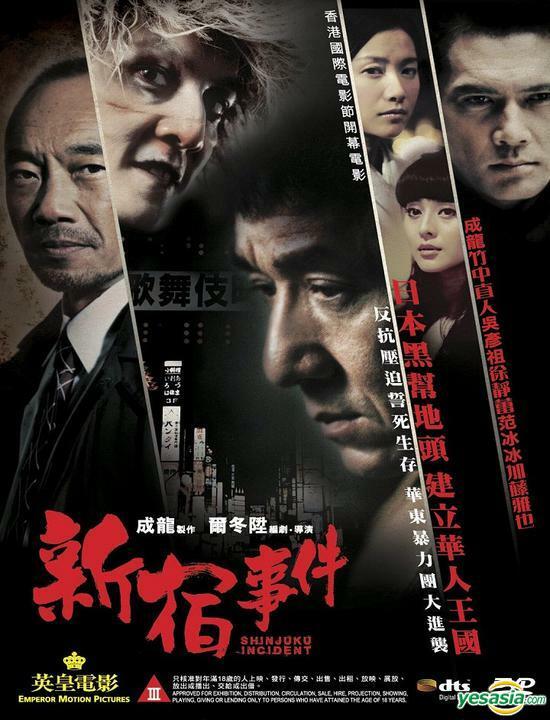 The real problem of this film is the unevenness, incoherent events and the relentless of lacking in acting chops of its two leads, namely the aging Jackie Chan and the emerging Daniel Wu. Wu have always been a wooden face, but he has tried to extend himself in Yee’s films like Protege and One Nite in Mongkok. Here, his character requires more range and like Jackie Chan, both are unable to deliver the goods. The pacing of the film is also a crucial problem, everything seems to be going along at a slow pace, then all of a sudden, things goes to a 360 degree turn around and when this includes sudden personalities changes for nearly all the main characters, the film is prime to become, more unbelievable than believable. The movie goes like this: It’s all about a group of Chinese illegal immigrant trying to survive and make a living in the country of Japan. The group includes our favourite stars, in Daniel Wu and Jackie Chan and together, they go through one obstacle after another. 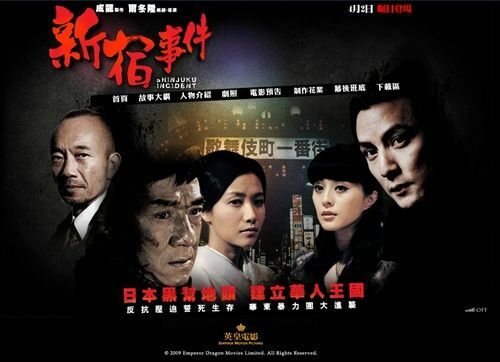 While Chan strikes luck and becomes associated with the Japanese Mafia, Wu gets his hand chopped off and his face disfigured in some local triad disputes. Then one day, Chan becomes the head of a gang. I think I kind understand what Derek Yee is trying to say, is that all society, no matter how big and small, requires a certain amount of leadership or else it will collapse eventually. After-all, as William Golding used to say, it is human nature to be born selfish and the tendency to become evil or bad depends on the context that the person is living in. Sure, the Chinese Immigrants went to Japan, in seeking of a better life style, only to find them living within the tatters and shatters. When an opportunity do arises to possess so degree of power and wealth, their attitude to life changes, the things they do, the things they strive for and the desire for more power is evermore in existence. Super icon Jackie Chan once claims that he wanted to become the next Robert De Niro and while you can say that Chan have been trying and trying to strive for more dramatic roles. It is already safe to claim that talent and persistence is two very different things. Chan have been an action star for a larger part of last four decades, his face is fixed, his experience of stunts is second to no one, but when it comes to drama, he lacks the presence, the facial expressions required and the body language that combines with the eyes to touch the audience. Chan have none of that ability and in turn, his role here is a true departure from his action grace, but he is unable to give his character any of this attributes that can one day make him, the next De Niro. It is a shame that Chan may not be able to achieve that lofty goal, or even the smooth transition fellow action superstar Jet Li have been able to make in the past 5 years. However, Chan shows guts and determination and most certainly cannot be blamed for not trying. Moving on to Daniel Wu, there is no question that Wu have improved dramatically since his debut in a little over a decade ago. I thought he performed quite well in previous Derek Yee’s endeavours like A Nite in Mongkok and Protege, but in this film, Wu does not fit the character and when he is required to be menacing, he is simply not menacing enough. Buy me a lunch or whatever, Wu has plenty to work with in this well written character, but he simply fails to deliver the food to the table. However, Wu like Chan should be complimented for trying and I am not prepared to dismiss him for the future as yet. In other stories, Fan Bing Bing is stunning beaut in a flower glass role and did exactly as the role required. Likewise, the Japanese guy (played by Naoto Takenaka) shows some good presence, without adding layers to the film. As for Xu Jinglei of the Warlords fame, is adequate without standing out.